If you want a used executive car, but don’t want to join the flock of German prestige marques filling Britain’s roads, your choices can seem rather limited. If it’s not an Audi, BMW or Mercedes-Benz, proper long-wheelbase, soft-riding luxury is simply hard to find. Realistically the large family car has departed – the last of the Vauxhall Omegas and Ford Scorpios are just scrappage survivors, the bigger French options occupy a small fanbase. There remains one relatively unpretentious big saloon that can be found without trawling the bangers – though it’s not short on identity. Making its debut in 2005, the 300C marked the most significant collaboration of the short-lived partnership of Daimler-Benz and Chrysler. Designed to transform the image of a firm known for rather moribund medium-sized cars and ambitious, but flawed, big front-wheel drive saloons, everything about the 300 was engineered to win the hearts of American drivers. Underneath lies a mixture of Mercedes-Benz S-Class and E-Class technologies – with some modifications – powered by either Chrysler petrol or Mercedes diesel engines. 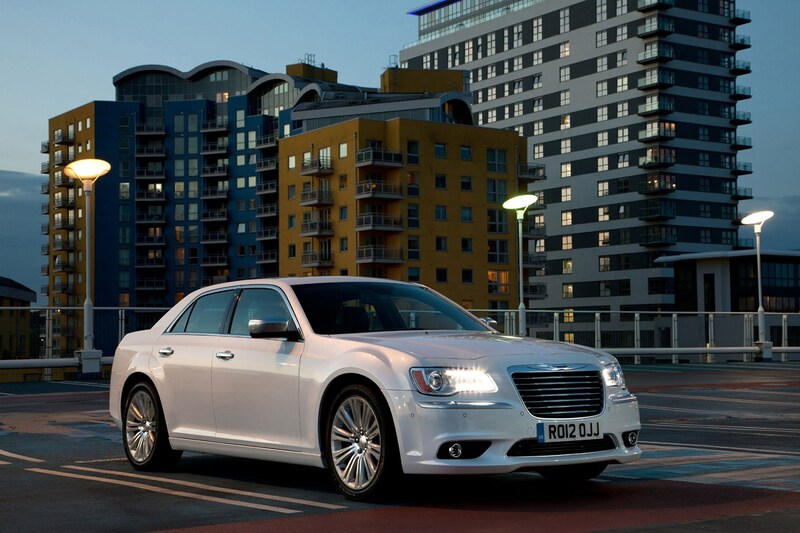 What really matters is the styling; the 300C may be positioned as a more affordable large car, but it’s far from shy. 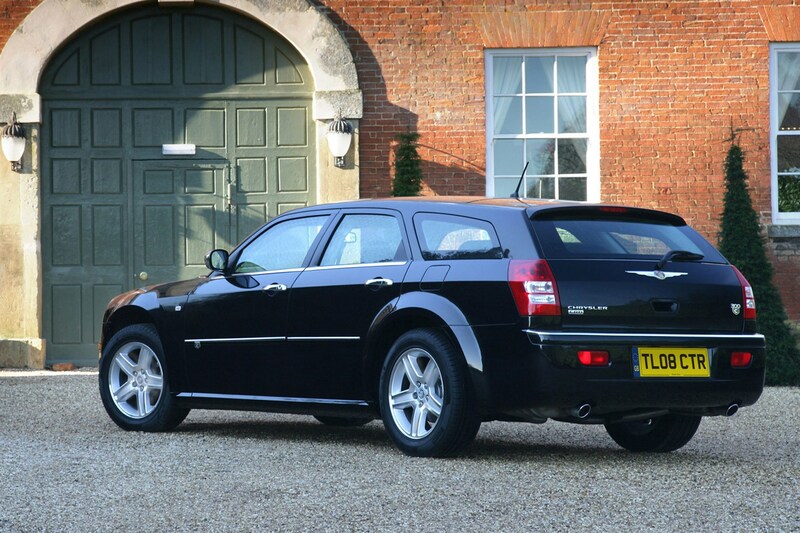 Strong lines, an immense front grille and a low roofline give the Chrysler a menacing, cartoon villain look. American TV producers agreed – as the 300C hit the roads it also hit the screens in countless dramas as the archetypal sinister black sedan. In America it was sold only as a saloon, with Dodge covering the traditional station wagon market with less premium trim. 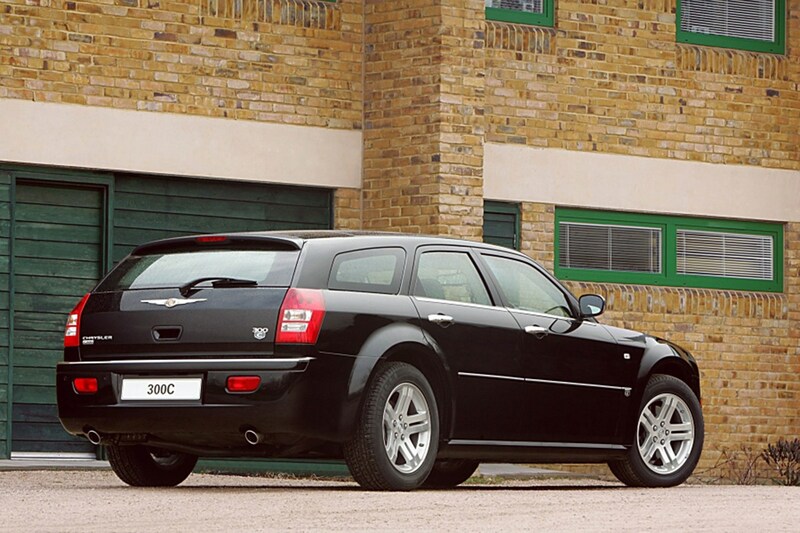 Europeans, however, got the best of both worlds in the 300C Touring– the estate body of the Dodge Magnum, with 300C front end and interior. 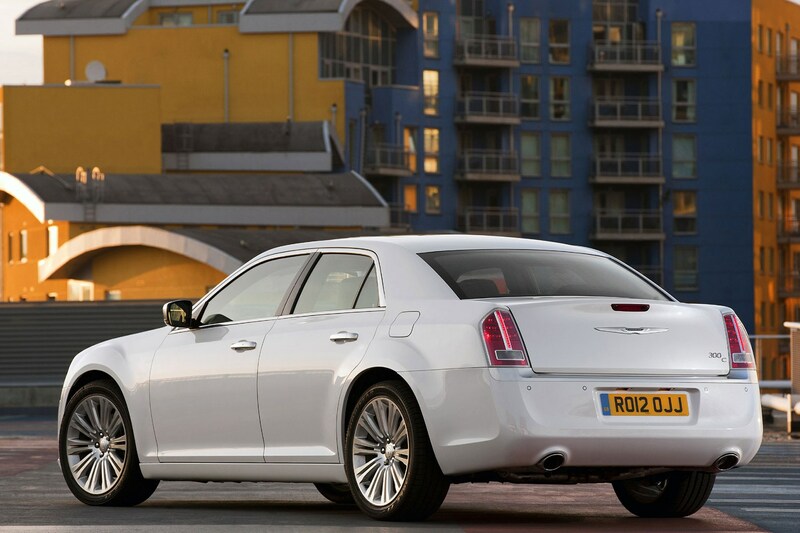 What are the benefits of the Chrysler 300C? For car enthusiasts, there are eight undeniable benefits of the 300C - and that's the number of cylinders in the impressive 5.7-litre Hemi V8 petrol engine. Producing 340hp and 529Nm, the new block is built on old-school principles – with a pushrod, overhead valve layout – with 21 st century technology for fuel and ignition. Headlining the new capabilities of the V8 is a straightforward Multi Displacement System, which shuts off four cylinders at low demand cruising speeds. For UK drivers, that’s a real benefit; this big, lazy engine is barely working at legal motorway speeds. Real-world economy won’t trouble European diesels, but 24mpg around town and 32mpg motorway averages are easily achieved. That’s not bad for a 2,150kg petrol-powered American V8. Of course, European buyers wanted diesel – and most 300Cs you see will oblige. Under the bonnet you’ll find the proven Mercedes-Benz 3.0 turbo V6, offering 215hp and 510Nm, with 40mpg potential. You may find a V6 petrol version, with a 3.5-litre Chrysler engine. Unless extremely cheap it’s not worth bothering with – and few buyers did. You’ll get 250hp and 340Nm, but it’s an unrefined, frantic engine if you want to make rapid progress. If the 5.7-litre Hemi isn't enough, there's also the 300C SRT-8; this has a 6.1-litre petrol V8 without multi-displacement, producing 431hp and 569Nm, for a 5.0-second 0-62mph time. What’s the 300C like to live with? Relaxing, essentially. The seats are wide and fairly flat in the original model – SRT-Design versions from 2008 onwards get sporty bucket-style seats instead. Steering response is leisurely, but precise with decent feedback compared to Mercedes systems of the time, and overall levels of refinement are good. The view out isn’t as compromised as you could be forgiven for expecting, too – the relatively upright windscreen is wide enough to see the horizon, point the useful central bonnet ridge at it, and reel it in. It’ll hold the road, too, with sophisticated suspension and large, wide tyres. There’s an element of tramlining and noise from the 20-inch wheels on SRT models, and for ultimate comfort the 18-inch originals are perfect. Inside, it’s a bit crude compared to contemporary German competitors – with large plastic door trims and a rather featureless dashboard lifted by tortoiseshell inserts. Standard sat-nav is quite dated too – 2008 models got a more advanced MyGig system. Rear legroom is ample, but for the amount of room it occupies on the road, the estate is not quite as spacious as you’d expect. A lot of that is down to the false boot floor – necessary to provide a flat load bay – which hides a tray more than capable of carrying a week’s shopping out of sight. Some models will come with a pop-up organiser in this space, which is very useful. Although the 300C looks pretty bulky, it’s no bigger than the current Ford Mondeo – a little over five meters long, and two meters wide. What should I consider when buying a used Chrysler 300C? 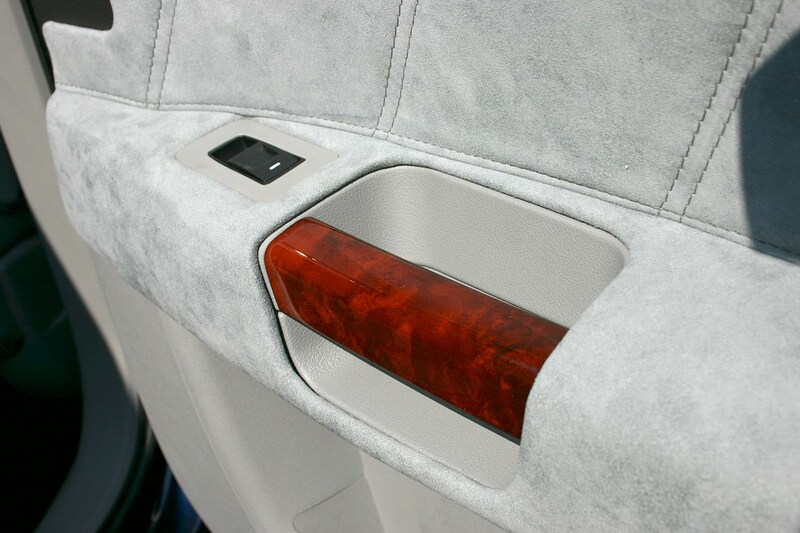 As a rule, 2008-onward 300Cs have a higher standard of interior trim and equipment. The front grille was often swapped for a fake-mesh Bentley style one, meaning the original egg-crate style is now more distinctive. Fewer V8 examples were built after 2006, due to the high VED rates applicable at the time, and there are many late registration petrol 300Cs that were built much earlier than their registration dates. If you want a V8 petrol car in the UK, though, the VED is a small part of the running costs. For 2011 the Chrysler 300C was extensively facelifted, with panoramic sunroof, larger glass area and a smoother front end. Inside, the dashboard is far more sophisticated and stylish, and diesel models got a new 3.0-litre turbocharged V6 engine from Fiat subsidiary VM; the same basic engine found in the Maserati Levante and Ghibli. The SRT8 was also upgraded to a 470hp Hemi V8 at 6.4-litres, equipped with multi displacement system for improved economy – it will reach 62mph in a little over 4 seconds, too. 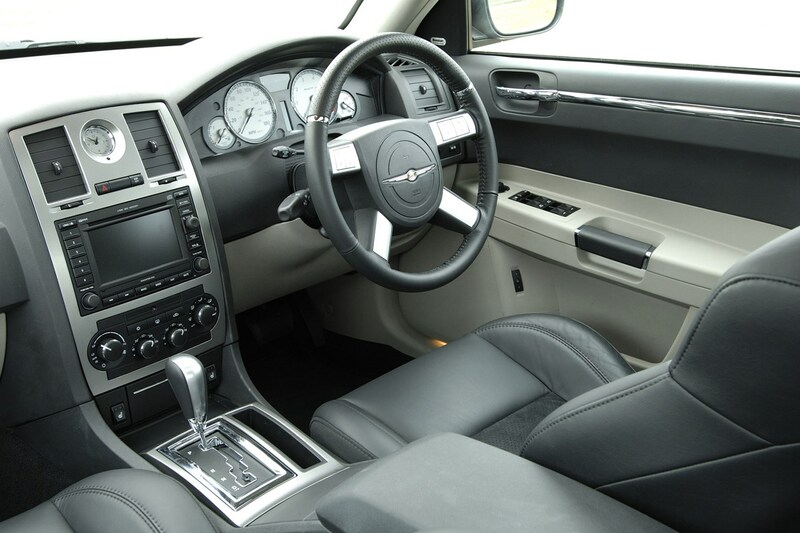 The 2005-2010 300C CRD – diesel – suffers from a few problems centred around the Mercedes engine, and should be considered carefully as they age. Pre-2010 examples of the OM642 engine (the engine, and its problems, are shared with Mercedes-Benz cars of the same era), in particular need the oil and inlet systems examining by a specialist unless the car is very cheap or you’re a keen DIY enthusiast. On all models make sure trim and panels are good unless you’re prepared to import parts from the USA; Chrysler’s spares were eye-wateringly expensive from UK dealers, offsetting the low cost of the cars themselves. Consequently, insurance excesses can be surprisingly high as well. Where’s the Chrysler 300C now? 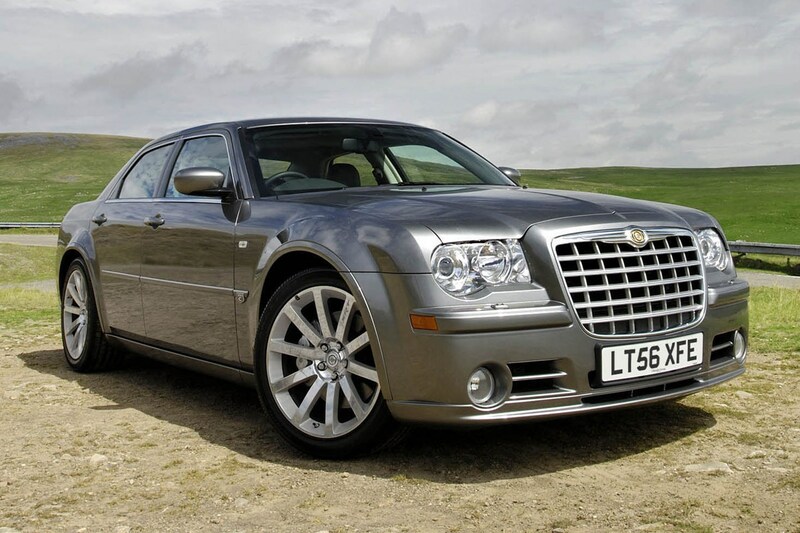 Chrysler left the UK in 2014, joined by sister-brand Lancia closing entirely. In America and some export markets you can still buy a brand-new 300C, mildly facelifted from the 2011 version, and there’s a good chance you’ll get one if renting a luxury large car in the USA or Canada. The legacy of the 300C lives on underneath Fiat Chrysler (FCA) large rear-wheel drive saloons, with the Mercedes-Benz technology gradually phased out for in-house designs. 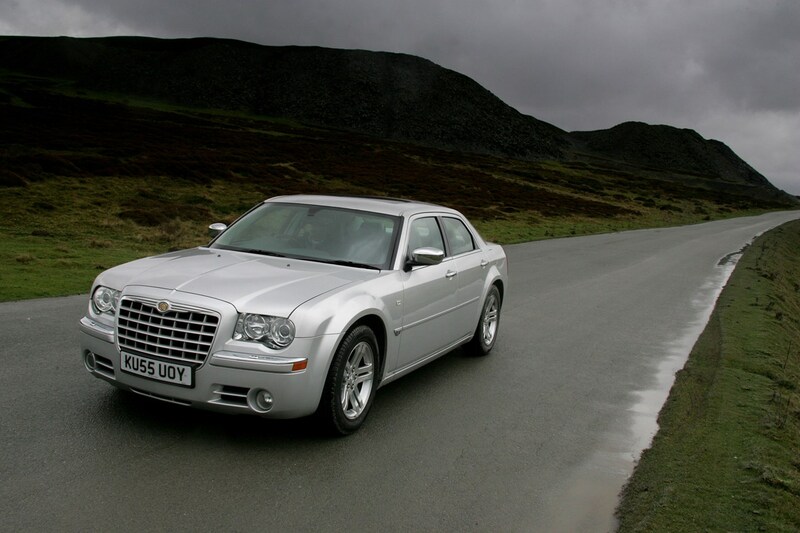 Did you know the most popular review for the 300C range is the Chrysler 300C Saloon review.